“Aphorisms,” wrote James Geary, “are like particle accelerators for the mind.” When particles collide inside an accelerator, new ones are formed as the energy of the crash is converted into matter. Inside an aphorism, it is minds that collide, and what spins out is that most slippery of things, wisdom. 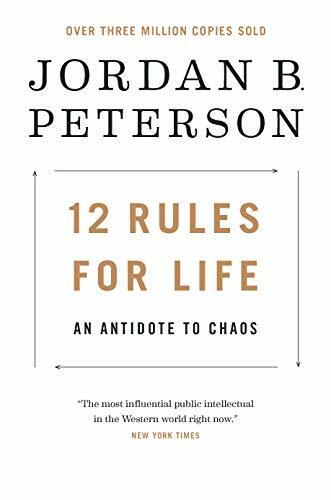 Jordan Peterson, whose 12 Rules for Life has been a runaway hit, has given us a good example of this strange reaction. The problem is, as Peterson is discovering, the weird particles that are spinning out of his extraordinary book are passing right through the brains of reviewers and commentators without apparently touching any grey matter at all. It is hard to recall a recent bestseller that’s been so misread, so misunderstood, and so misrepresented. These reviewers have done a disservice to their readers. In large measure, they have failed to engage with a work that is complex, challenging, and novel. Peterson is sketching out a draft for how we can survive, look in the mirror, and deal with psychological pain. To understand his message, the first task is not to be distracted by the title or genre, and look for the metaphorical glue that binds it all together. 12 Rules sets out an interesting and complex model for humanity, and it really has nothing to do with petting a cat or taking your tablets or being kind to lobsters. It is about strength, courage, responsibility, and suffering, but it is deep and difficult, and it is not easy to pigeonhole. In a sense, 12 Rules contains a number of hidden structures and hidden processes, and confusingly, these are not always made explicit in the text. The first of these is Deep Time. We are biological creatures, evolved beings who can only be truly understood through a model that encapsulates the notion of geological time. The concept of Deep Time is very recent: just a few generations ago science thought that the earth was a few thousand years old. The realization that the planet has been around for billions of years and that life itself not much younger has brought about a shift in the story of ourselves and our place in the world. We are the products of processes that are old, old, old. We stretch back across unfathomable reaches, incomprehensible spans, but we carry that history within us. To give one example, Peterson writes that “we see what we point our eyes at” (which Baggini dismisses as “a puff of pseudo-profundity”). This quote is actually from an extended passage about evolution, perception, visual field, and our tendency to screen out what we are not intensely focused on (an observation that Baggini confirms by screening out the entire context of that sentence). Peterson makes a number of inter-related points in this passage, which serves as a metaphor for what follows.